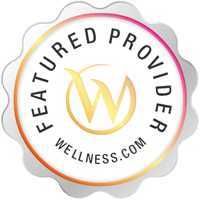 Services Clarity Dermatology offers cosmetic dermatology treatments in Castle Rock, CO. A Cosmetic Dermatologist can perform a wide range of procedures aimed at improving the appearance of the skin. A Cosmetic Dermatologist may be able to reduce or remove fine lines, small scars, blemishes, freckles, sun damaged skin and precancerous cells. Please call Clarity Dermatology at (720) 686-7546 to schedule an appointment in Castle Rock, CO or get more information.